Omnima designs and manufactures components for flexible automation systems. 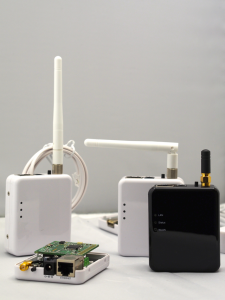 Our components can be used for almost any application where a small embedded computer can be deployed to communicate and control various sensors and actuators, and provide connectivity via the Internet and/or via mobile phones. Our designs have been used in robotics, home security, home automation, advertising installations, monitoring devices of all kinds… the list is practically endless. We offer clients the possibility of custom-designing or re-branding of packaging, casing, boards, software and add-ons to suit a broad spectrum of specific needs, saving our customers both time and money. Please do not hesitate to contact us to see how we might be able to help you with your project. Our products, as well as being competitively priced, are designed and built with reliability and durability in mind. We also know the importance of long term product availability to our clients. Our products are generally available for 3-7 years and we provide or assist with upgrade paths to new designs.